Solving the challenges inherent with a mold contamination can be difficult, but with the professional help of IICRC certified owner Zack Cohen of 911 Restoration Ventura and the mold removal Ventura specialists at your service, you have nothing to worry about from fungus. Mold and fungus have been on the earth for millennia and in that time they have evolved to be able to adapt to almost any environment. This makes eradicating mold a challenge, but it is one that Zack and his teams of mold removal Ventura experts are prepared and trained to take on any time you need it. 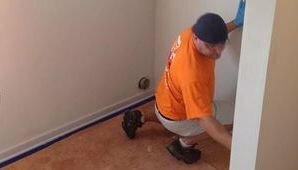 “We can always arrive within 45 minutes of a call for help, even when mold is the culprit,” Zack explains. Don’t let a lingering water damage event inspire mold growth in your home. Contact Zack and the mold removal Ventura technicians with 911 Restoration Ventura today and let them take it all on for you at a great value too! With years of experience in the field, Zack and his mold removal Venture specialists have come to know almost everything there is to about mold and fungus. Their experiences have taught them that mold can grow with very little input from the outside world. In fact, water damage doesn’t even have to occur for there to be a mold outbreak. “A poorly ventilated room with high humidity is a prime source of the mold contaminations that we get called out on,” Zack explains. 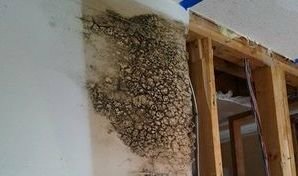 Mold will grow almost anywhere with a reasonably porous surface and a minute amount of water to spur the initial stages of growth. After a mold colony has taken hold, the remaining moisture in the air is often enough to support a colony indefinitely. Since mold spores can spread so easily and take root with next to nothing in the way of assistance, it is imperative that if you find mold in your home that you contact dedicated, trustworthy and certified professionals like Zack and his mold removal Ventura technicians with 911 Restoration Ventura to take on the challenges for you. Don’t let your home be overrun by fungal outbreaks. Contact Zack and the mold removal Ventura experts with 911 Restoration today! Zack and the teams of mold removal Ventura experts provide homes and stores with solutions to their mold and water damage incidents with extreme regularity, and this familiarity gives them the ability to handle anything that floats their way with ease. “On one occasion a homeowner had a pipe burst in their crawlspace,” Zack says, “but the area of access was so small that we had to get our shortest and thinnest tech to shimmy under the home and handle the sewage removal. Zack and the mold removal Ventura crews took on the sewage backup incident that happened and caused the mold contamination, and then they took on the mold challenges too. After Zack and his mold removal Ventura teams eliminated the contamination, they even helped out with all of the insurance paperwork too. Don’t let a mold contamination take over your home unexpectedly from a sewage backup issue. Contact Zack and the mold removal Ventura team with 911 Restoration Ventura and let them solve all of your abatement needs today!